Is fear keeping you from a career as a successful freelance writer? Here are some common fears that keep many people from the writing career of their dreams. Many people who say they want to become a freelance writer are so afraid to take the first step and commit to starting a writing career. It’s fun to talk about becoming a writer. But it’s just plain scary to actually start doing what it takes to build a freelance writing business, and many people are too afraid to take the first step. Many writers, especially those who are just starting to freelance, are afraid to apply for well-paying jobs because they feel they aren’t qualified for them. Successful freelance writers know it’s good to have some training and experience in the types of writing they wish to do for pay, but they aren't afraid to apply for jobs or assignments that seem a little beyond their experience or training. 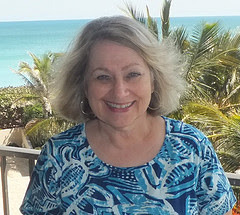 Many writers are afraid of getting clients because they won’t know what to charge for their writing services. It’s fun to think about living the freelancing life, where you have no bosses or office hours. But the thought of constant deadlines, scares some writers because they think they won’t be able to meet those deadlines. 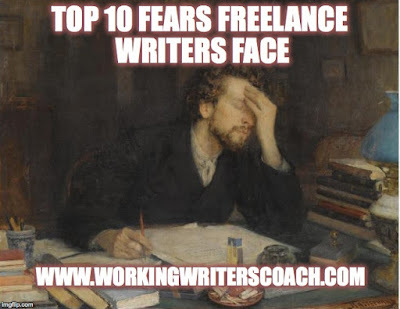 New writers are afraid to look for clients or assignments. They’d rather clients and assignments come to them, but this doesn’t happen (at least not at first). Many writers are afraid to go after clients because they’re afraid they’ll actual get some clients and then they won’t know how to work with them. Many writers actually fear what success will do to them. They think it will change them too much and either their friends and family won’t like them anymore or they will have to do things they don’t want to do. Many writers are afraid they’ll get an assignment then they’ll develop a case of writer’s block and they won’t be able to complete the assignment. Rejection is just part of the writing life. Yet many writers are afraid of rejection so they put off sending out queries and letters of introduction. Once a job has been completed, it’s out there for people to read. And readers can be critical of what they read. Sometimes writers dread the thought of anyone reading and judging their work (even though readers may actually like what they read) so they avoid sending it our or they avoid looking for clients and writing assignments. If you’re struggling to build a successful freelance writing career, see if some of these common fears are keeping you from moving ahead. Once you recognize your fears, it will be easier to overcome them. Suzanne, great list of what may be holding a freelance writer back. I would think that at one time or another we are all faced with one or more. I think number 3 is a biggie, maybe not a fear, but certainly at times problematic. I know I get clients who think I undercharge. Then, I'll get clients who think I'm too expensive. Go figure. Thanks, Suzanne. Mine was #10 but hopefully I've got over that now through the support of friends here at WOTM who always comment positively. You've just got to realize that there will always be someone around to criticize what you do. :-) Read what they say. If valid, use it to improve. If not, forget it. Move on.